How served: 330ml capped bottle poured into a Urthel glass. I paired this beer with: Gnocchi. Tasted on: Thursday April 15th, 2010. Note: This is the ‘t Smisje Kerst Ale brewed with Coriander and Grain of Paradise, (a 11%abv Belgian Strong Dark Ale) which is then matured in a Whisky Cask. This beer tasted more like an English Barleywine, except it wasn’t as “thick”. You get a faint taste of whiskey and a mild cherrish flavor to go with a strong malt sweetness, which wasn’t too sweet, as it wasn’t too “thick”. This is surely a sipper and could be easily enjoyed as a before or after dinner drink. 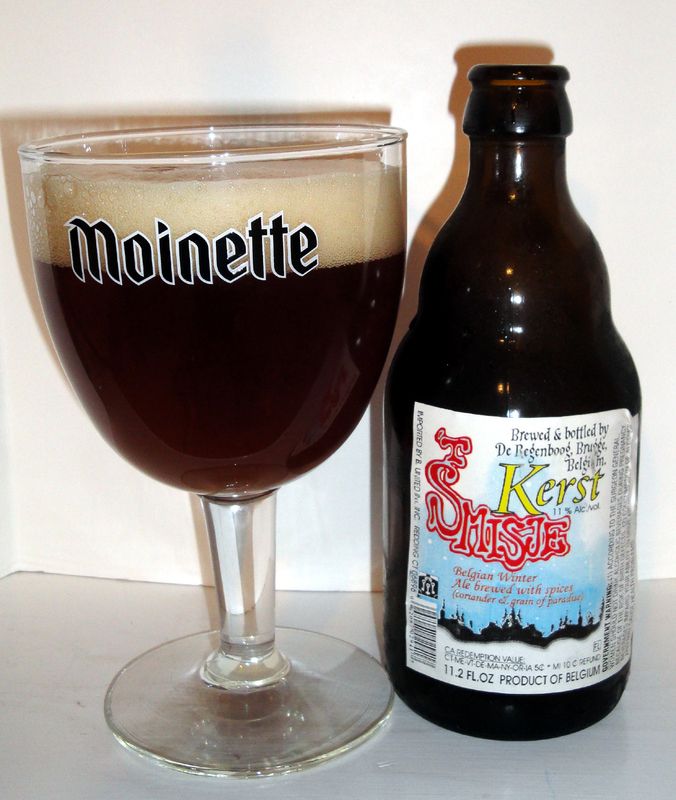 I did enjoy the “plain” ‘t Smisje Kerst Ale better then the whiskey cask version I’ve just sampled. 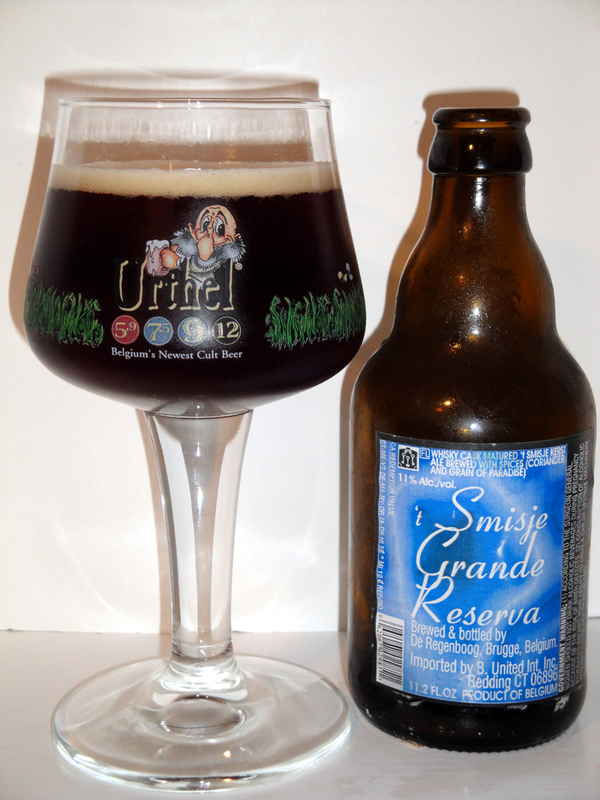 From their website: Nothing about ‘t Smisje Grande Reserva could be found on the Brouwerij Smisje website, so I added the following which could be found on this link within the Belgian Beer Board. (BTW Filip Geerts is the Webmaster of the Belgian Beer Board and is also the Webmaster of the Brouwerij Smisje website). 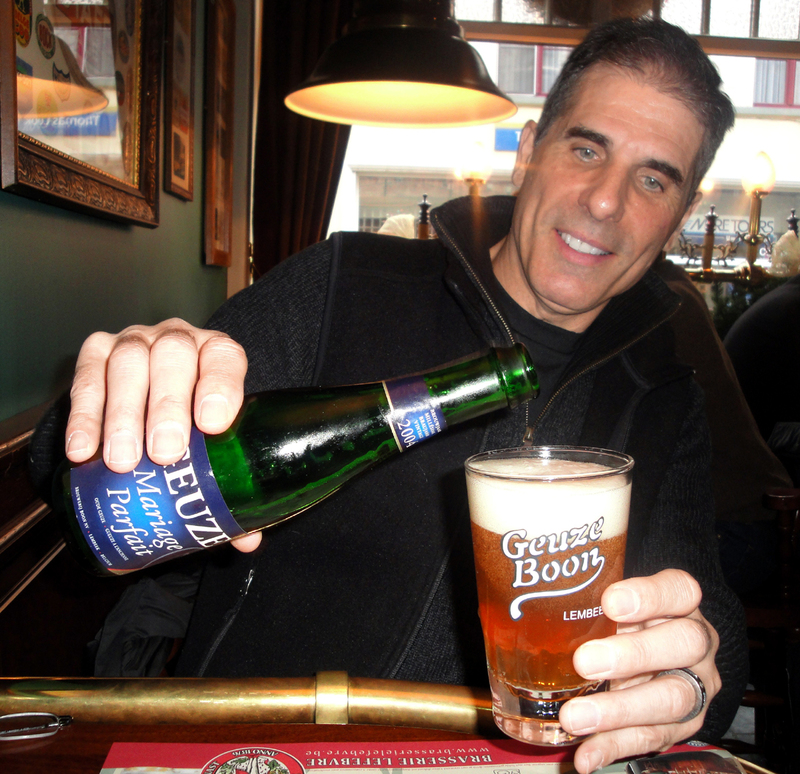 After we finished the marvelous “Vin de Céréale” at ‘t Brugs Beertje, two marvels were ordered ! Barrel aged ‘t Smisje Kerst 11 vol% from Bruges’ brewery De Regenboog. There’s two different wood aged versions available. One that has been aged inside a Michel Couvreur’s Whiskey barrel (this is new). The other batch underwent some E. Dupont Calvados barrel ageing. The result: Two masterpieces ! It’s really exceptional to actually be able to taste both beers side by side. The differences mainly cask related. The ‘t Smisje Kerst is – ofcourse – clearly noticeable. Still made according Bill Coleman‘s original American recipe with barley, wheat, vienna malts and caramalt. The hops are Hallertauer, Kent Goldings. Dark and white candi sugar, Coriander, Grain de Paradise ! Just after pouring out both beers, we noticed a less carbonated ‘t Smisje Calva Reserva. Not much foam. I suspect that this beer is just that bit too young. Waiting should be the message, and the bottle conditioning will certainly give some nice head in the near future. Nevertheless, the ‘t Smisje Calva Reserva got our vote !!! Why ? Simple, because this beer has that bit more body to it. Much more aromatic flavors too. The Grande Reserva seemed less complex. Nevertheless, the Whiskey barrel gave a marvelous Whiskey woody touch to the beer. But somehow I missed the impressive warming complex nose from the ‘t Smisje Calva Reserva. The Calva has a most delicate aroma. Warming, caramel, Calva woody, candi sugar, amazing full bodied, somewhat roasty, complex, even fruity ! People, this is what I call the ultimate Bruges Beery Treat ! Yes, the two beers ! No question: The € 5.00 we paid for each beer was well worth every drop ! 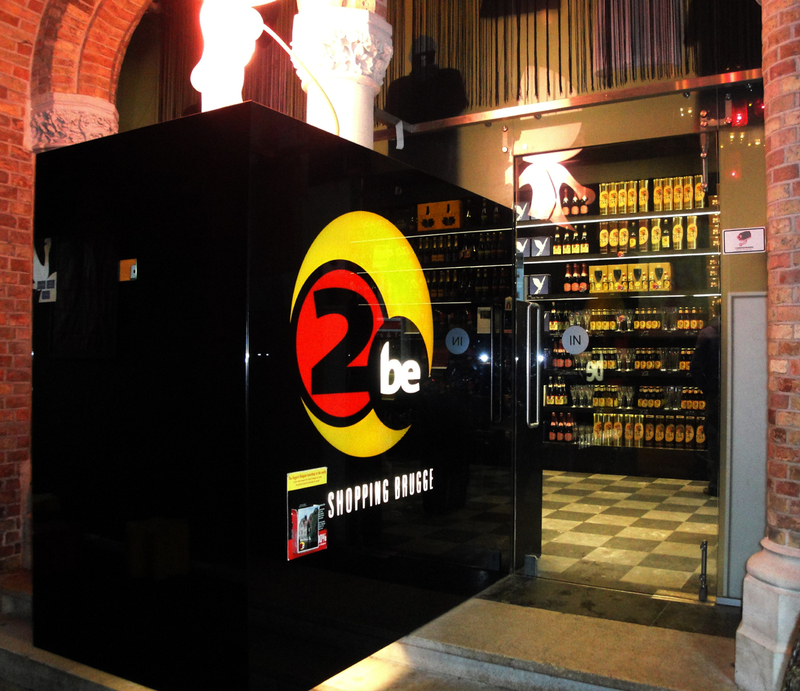 This is the 3rd installment of our Beery Adventures in Belgium. We visited Bruges, Gent, Mechelen, Antwerp & Brussels over 7 days, meeting with vendors for our beer tour company BonBeerVoyage.com. During our whirlwind week, we were able to visit over 50 beer related places and tried over 50 beers. This entry focuses on the 3rd day of the trip. 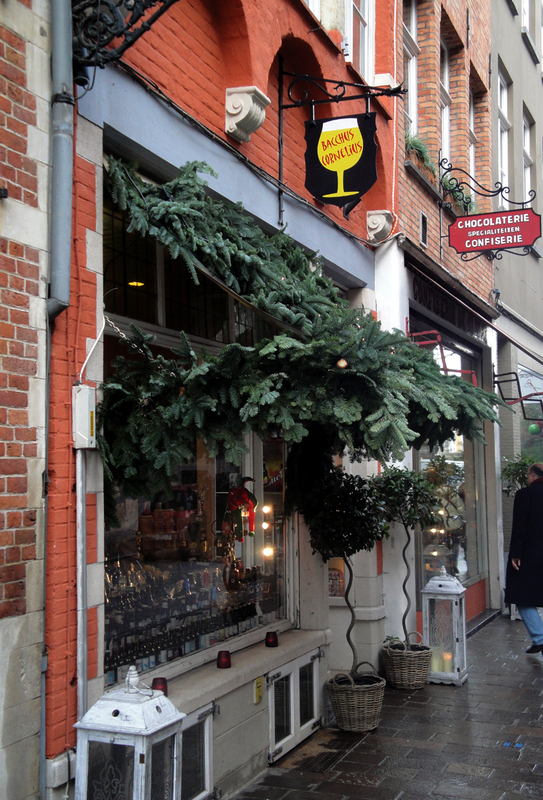 We finished our time in Bruges by visiting 3 more bottle shops, 3 more beer bars, a gourmet chocolate shop and a cigar shop which serves beer in its backroom bar. 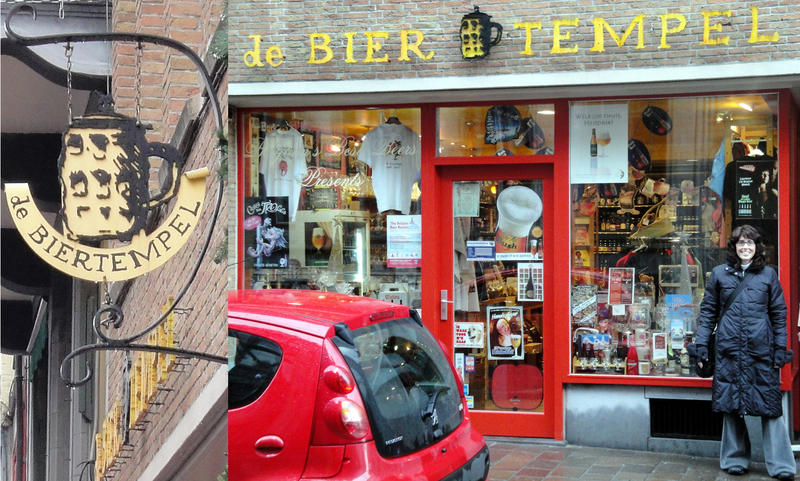 The 1st bottle shop of the day was de Bier Tempel (7 Philipstockstraat). 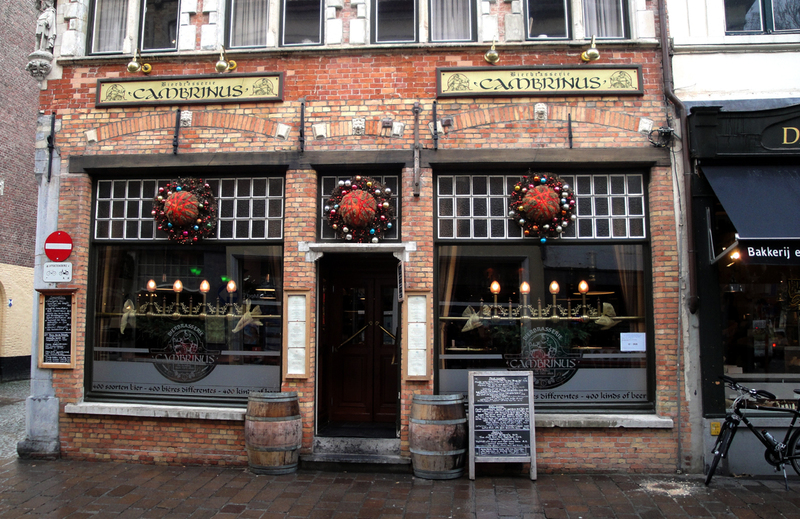 A short walk from Cambrinus (see below) heading towards the Grote Market, you will spot this bottle shop on the right side of the street. They have a nice section of beers as well as glassware at competitive prices. 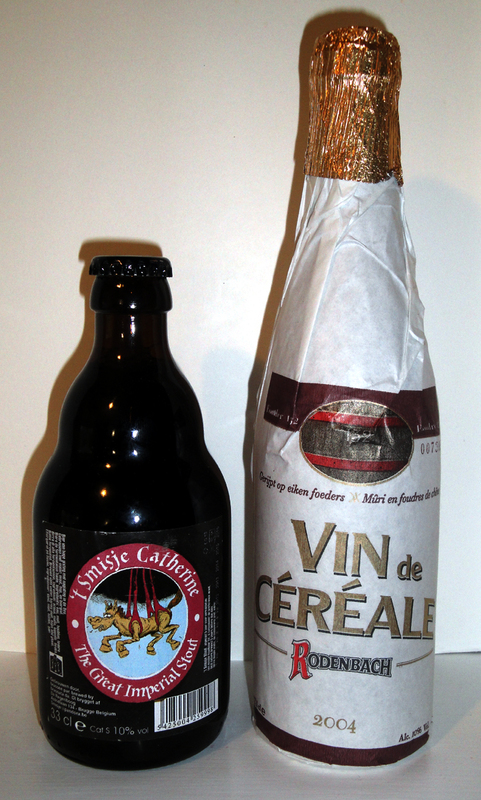 I wasn’t planning to buy any beer today, but when I spied a bottle of Rodenbach Vin de Céréale, I couldn’t resist. It is a Flanders Red Ale at 10% abv, which was only bottled once. Since I was already going to make a purchase, I also picked out a bottle of Catherine The Great, which is brewed by Brouwerij Smisje. It is a Belgium Imperial Stout, aka Foreign/Export Stout and is 10.0% abv. 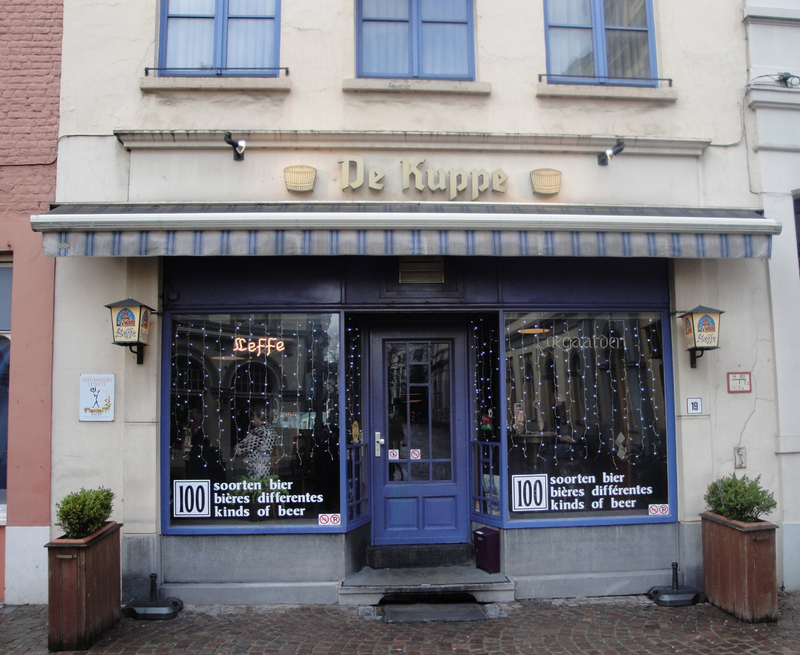 It was still early in the day, but not too early for a beer, so we walked to De Kuppe (19 Kuipersstraat) as I knew they opened early. As the sign says on the window, they have about 100 beers to choose from including De Dolle Oerbier, my choice for that morning. 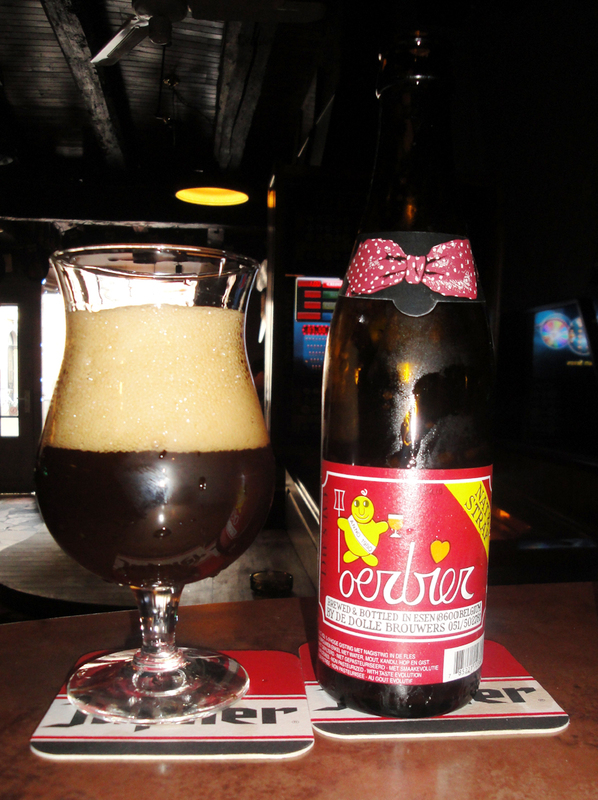 Oerbier is a Belgium Strong Dark Ale at 9.5% abv. brewed by De Dolle Brouwers. Since it was only around 11:30 am on a Monday, not too many other bars were open. 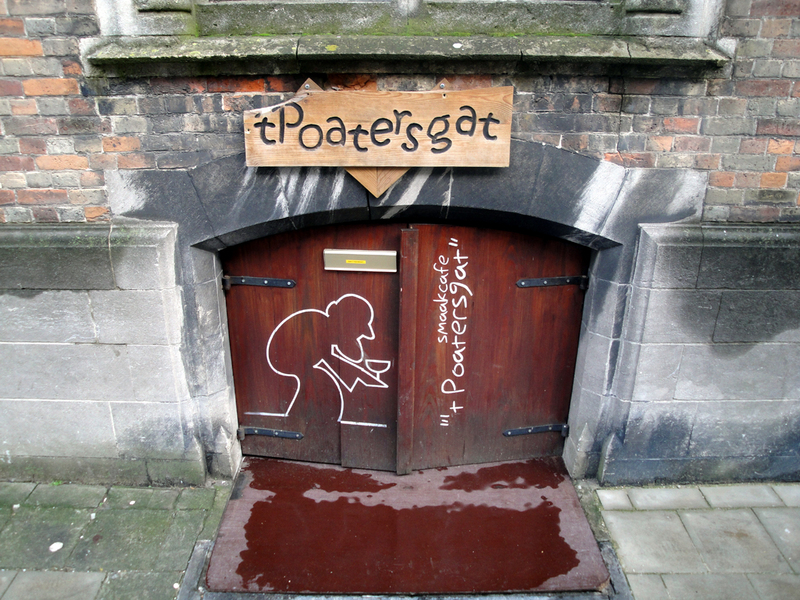 We took a chance and walked 4 ½ blocks to ‘t Poatersgat (82 Vlamingstraat), but they were closed. ‘t Poatersgat is a cellar bar, with a stellar beer list!!! They have over 100 beers to choose from. Although we didn’t have the chance to enjoy it this time, the inside is a lot larger than you might expect from looking at the door. It is like a large cave with very tall ceilings. Since it is just outside the “main” section of town, it usually is not as crowded with tourists. After seeing ‘t Poatersgat closed, we then looked across the street to see that De Zolder (53 Vlamingstraat), was also closed. This is a fairly new place and like ‘t Poatersgat is located in a cellar setting. They have about 60 different beers to choose from on their menu. Since we were striking out on our beer hunting expedition, we decided to try another bottle shop and then head out to find the most unique chocolate shop in town. We walked around the corner from ‘t Poatersgat to get to Bacchus Cornelius (17 Academiestraat). 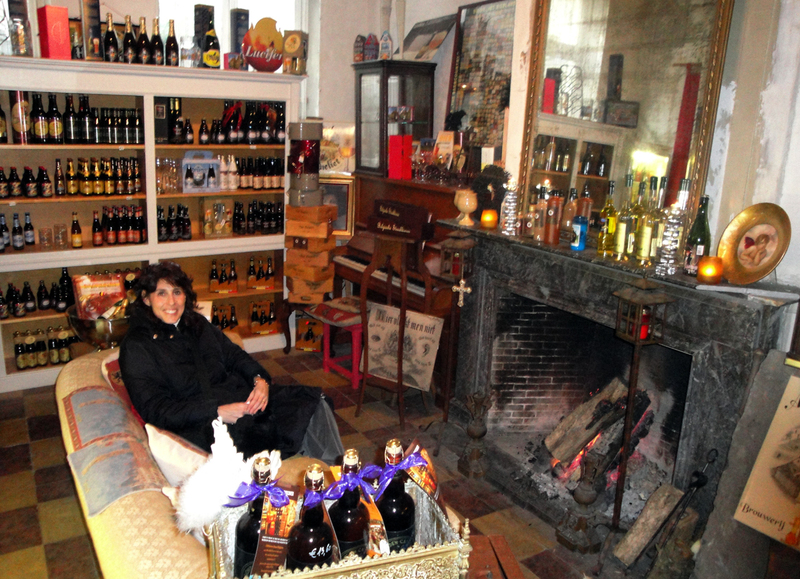 This is a very upscale bottle shop, with has a very comfy sitting area with a fireplace in the back room. 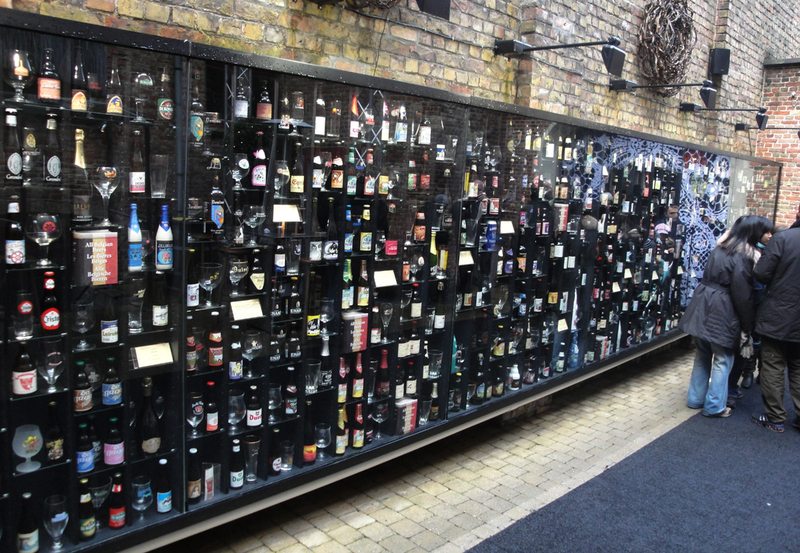 They carry over 450 different beers as well as glassware. We ended up buying Advokaat which is a thick yellow pudding like liquor. It is a blend of egg, sugar and brandy; it is very delicious and is 22% abv. You can eat it with a spoon like a pudding or pour it over ice cream. Off of Steenstraat is a square called Simon Stevinplein. In this square you will find both Jerry’s Cigar Bar (13 Simon Stevinplein) and The Chocolate Line ( 19 Simon Stevinplein). In Jerry’s Cigar Bar you can find cigars, if one indulges in such, and about 13 beers or other apéritifs which can be enjoyed in the bar in the back of the shop or on the square. The real treat to be found on Simon Stevinlpein is The Chocolate Line. 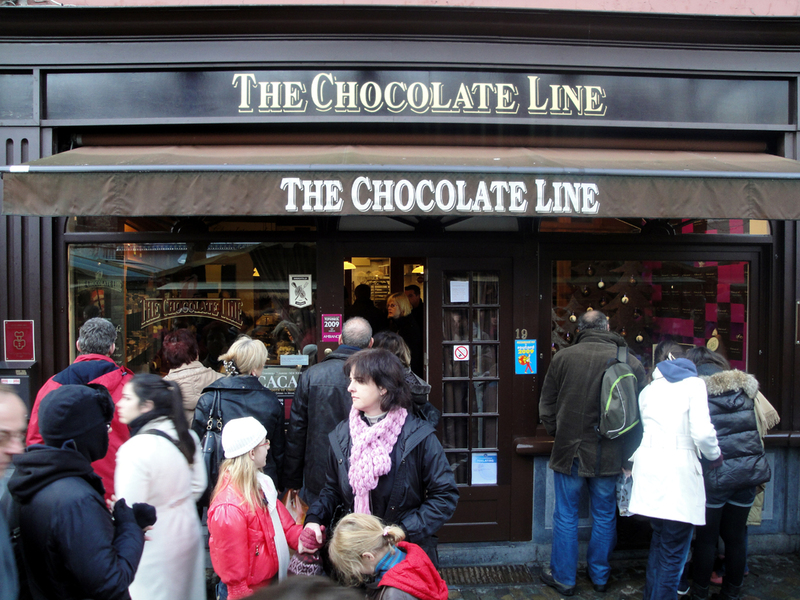 In The Chocolate Line you will find the most amazing chocolate shop. Even Keith Richards has shopped here. They have a very unique line of chocolates, including some made with basil, sun dried tomato and olive oil! Yes, it sounds bizarre, but somehow it works. The largest bottle shop in town is 2be (53 Wollestraat). This is an extremely large shop. On display between the front entryway and the bar in the back you will see the “Wall of Beers”. This is an amazing display of almost all the beers of Belgium with the matching glassware, a real must see for beer geeks. 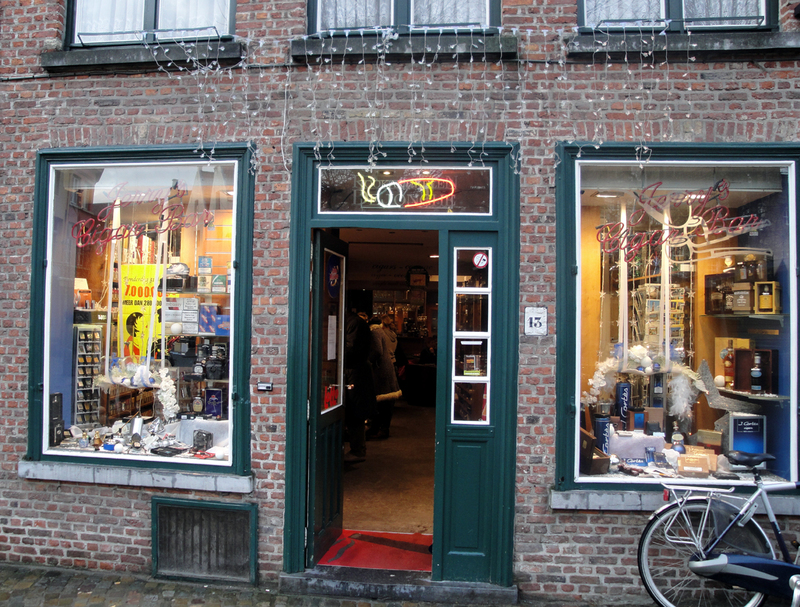 On the top floor of the shop you have many different chocolates and other Belgian specialties including some of their beer collection. Downstairs you will find the rest of this huge beer selection with appropriate glasses for sale next to their respective beers. In the back you have an inside bar and an outside area overlooking the canal to have a beer. 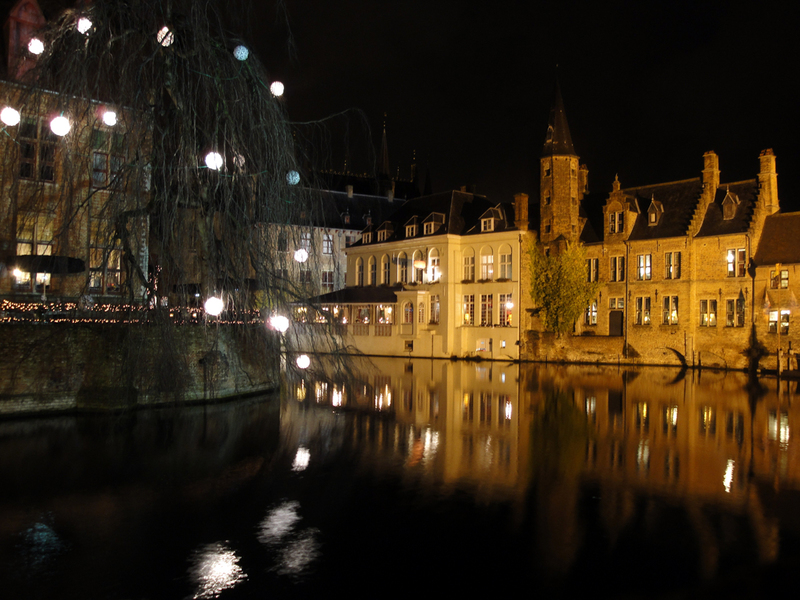 It is especially atmospheric in the evenings or on a nice afternoon…or anytime, heck you are in the most beautiful city in Belgium, drinking the best there is to offer, what more could you ask for? 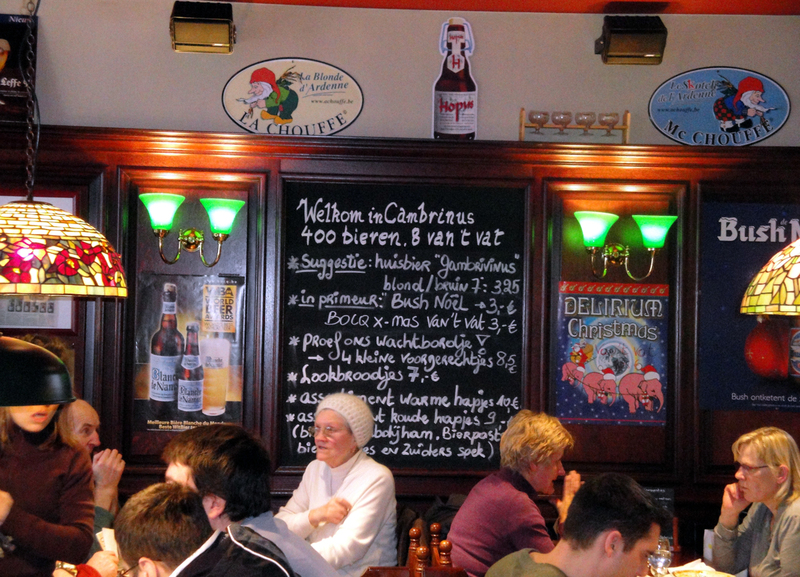 One of the best places in town to grab a great lunch with a huge selection of beers to choose from is Bierbrasserie Cambrinus (19 Philipstockstraat). 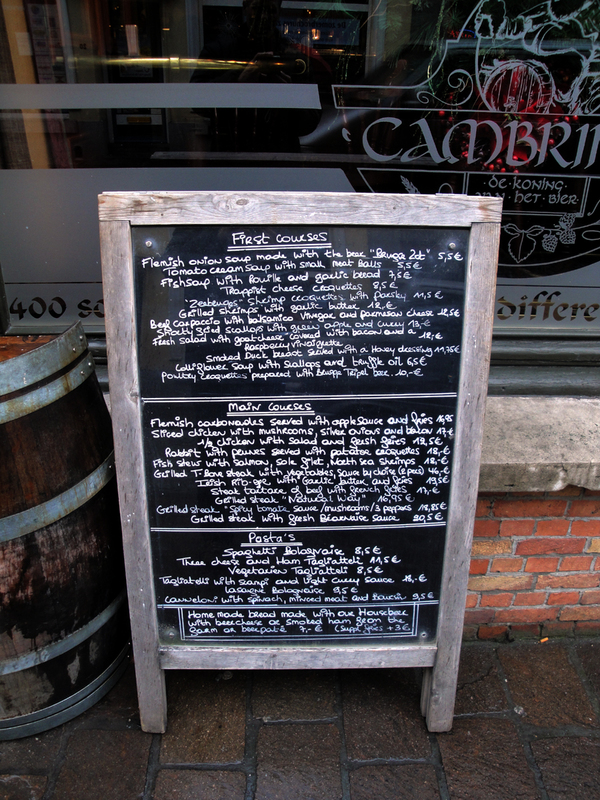 At Cambrinus you will find a beer menu which has over 400 beers and a food menu full of cuisine a la bière. Ruth and I both had their Flemish Carbonades, which is a beef stew prepared with Gulden Draak and served with applesauce. 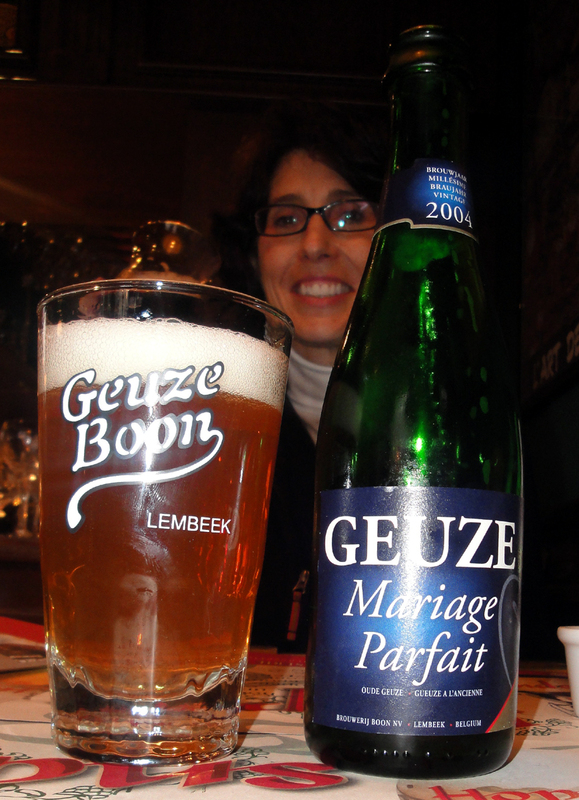 I paired mine with a Boon Oude Geuze Mariage Parfait, this was a 2004 vintage and is brewed by Brouwerij Boon , this Gueuze is 8.00% abv. 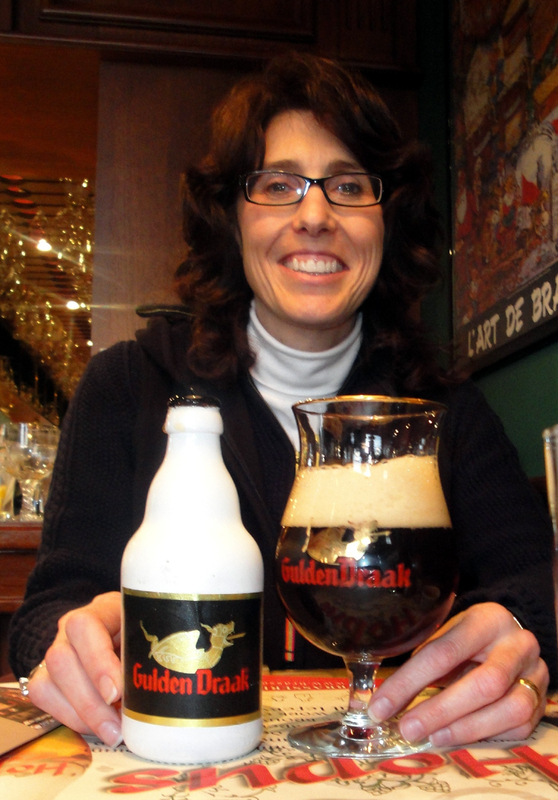 Ruth had the Gulden Draak, which one of her favorite beers. Gulden Draak is a Belgium Strong Dark Ale and brewed by Brouwerij Van Steenberge N.V.
Next in this series we will explore what Gent has to offer…stay tuned! How served: 330ml capped bottle poured into a Moinette chalice. I paired this beer with: nothing, I used this as an after dinner digestif. Tasted on: Wednesday December 23, 2009. Note: This was brewed and bottled by De Regenboog, Brugge. This a wonderful beer that improves as it warms in the glass. It is extremely drinkable for being 11% abv & spiced, as both are well hidden. BTW, the 2009 versions of this beer has drop the leading ‘t from the name and is now simply Smisje Kerst. I believe when this beer was brewed at De Regenboog in Brugge the name started with a ‘t, now all of their beers have dropped the leading ‘t when they became “officially” Brouwerij Smisje in Oudenaarde. On the Label: Belgian Winter Ale brewed with spices (coriander & grain of paradise). This is the 28th of my daily Christmas beer, on my quest for a Christmas beer a day from Thanksgiving to Christmas. There are now only 1 more beers until Christmas!